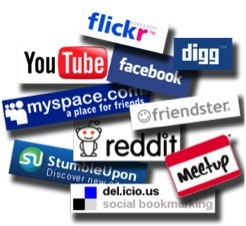 Are There Too Many Social Networks? So many interesting social networks are easily available to consumers, and we find ourselves giving our attention to these various sites. From Facebook, Twitter and Pinterest to Google+ and LinkedIn, each site serves a different purpose, but each one allows users to connect with others and share personal information with them. Each social network’s public relations team is also responsible for publicizing their site with catchy statements describing what the site’s purpose is and why you should create an account. Facebook: Facebook helps you connect and share with the people in your life. Twitter: Instantly connect to what’s most important to you. Follow your friends, experts, favorite celebrities, and breaking news. Google+: Google+ aims to make sharing on the web more like sharing in real life. Pinterest: Pinterest is a virtual pinboard. Pinterest allows you to organize and share all the beautiful things you find on the web. With such strong PR teams, how can consumers not help but feel that they would be left out if they didn’t join every social networking site available? Not only is it confusing to keep track of each account and ensure that pages are up-to-date, it is highly time-consuming! Few people realize how addicting social networking can be, especially since we are social beings by nature. We love knowing what others are up to at all times, but with the amount of networks available, this curiosity has become almost intrusive. People really don’t need to interact at all to see how others are doing. They can simply check any of their friends’ various social networks. So, the problem is, how do we find a balance between keeping up with all of these networks without becoming consumed by what each site has to offer? We must consider that although these networks are an entertaining past-time and may be a fun means of checking up on friends, it would benefit us far more to use them professionally. Instead of spending time seeing what others are up to, focus on what you are doing. Spend enough time on each network each day to keep up your image, but don’t allow too much time to get carried away. Instead, get out and enjoy what the world has to offer beyond virtual reality. Carolyn Beatty is a freshman at the University of Delaware. She is a communication interest and English professional writing double major. She currently serves as the Publicity Coordinator for Harrington Theatre Arts Company and is also an active member of PRSSA-UD. Follow her on Twitter @carolyn_beatty.